Cheap 2 1/2 Inch Foam Dice - 12 Ct.
Every pair of dice is approximately 2 1/2"
These large foam dice will add excitement to your large stake casino game. 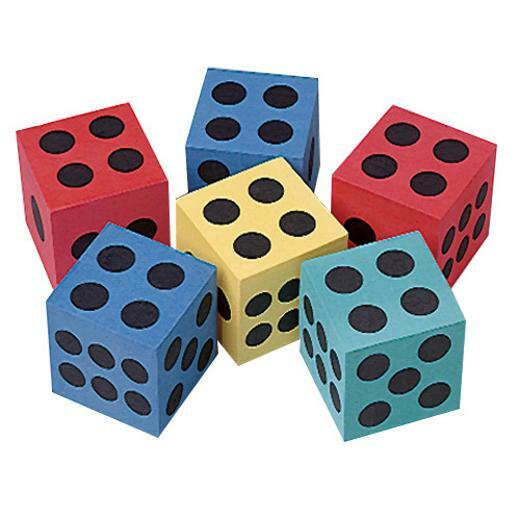 Foam dice are a great addition to your party supplies for any casino themed event. L: 10.75 in. W: 3.15 in. H: 14.0 in.